He first came to international attention in the early 1980s with his String Quartet No. 1, premiered in Great Britain by the Arditti Quartet and in the United States by the Juilliard Quartet. A series of virtuoso solo pieces (double bass, cello, English Horn, trombone, and violin) solidified his position among the leading American composers of his generation, and a series of prominent orchestral commissions soon followed. Works written for the San Francisco Symphony, the Dallas Symphony Orchestra, and the Cincinnati Symphony exhibit kaleidoscopic colors and provocative designs. Performances by international orchestras include those of the BBC Symphony, the Hong Kong Sinfonietta, and the Royal Scottish National Orchestra. The composer’s finely detailed chamber music has also been in demand around the world. 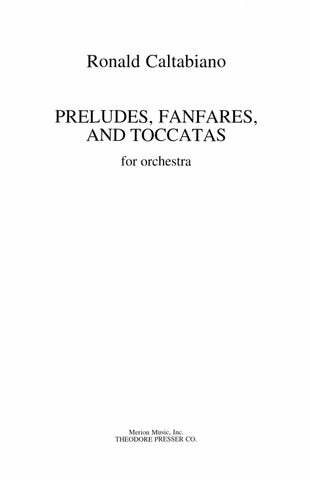 Notable works include Concerto for Six Players, commissioned by the Fires of London for their farewell performance; On the Dissonant and Rotations, both commissioned by Australian ensembles; and prominent commissions by American organizations, including the String Quartet No. 2 (Emerson Quartet), Quilt Panels (Chamber Music Society of Lincoln Center), and Clarinet Quartet (consortium of new-music ensembles). 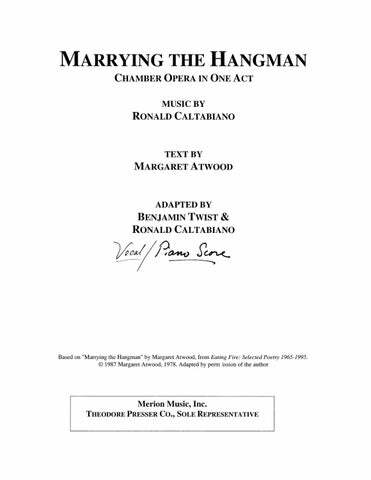 The dramatic bent in Caltabiano’s work naturally lends itself to vocal music, which has been an important focus throughout the composer’s development, from the early song cycle, First Dream, through two dramatic cantatas, Medea and Torched Liberty, and his first theatrical work, the 1999 chamber opera Marrying the Hangman, on a text by Margaret Atwood, written for the British ensemble Psappha. Major awards from the American Academy of Arts and Letters, the Guggenheim Foundation, and the Rockefeller Foundation were anticipated by a number of awards from BMI and ASCAP as well as two Bearns Prizes. 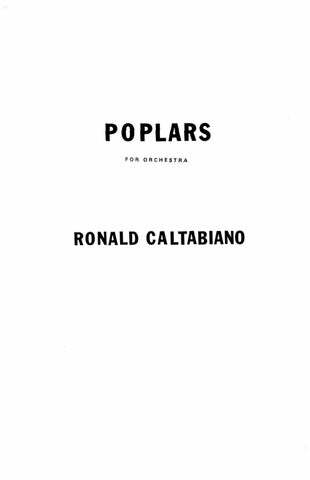 Since working as assistant to Aaron Copland during the last five years of that composer’s life, Caltabiano has served on the faculties of the Manhattan School of Music and the Peabody Conservatory, and currently teaches at San Francisco State University. Born in 1959, Caltabiano is a BM/MM/DMA graduate of The Juilliard School, where he studied with Elliott Carter and Vincent Persichetti. In addition, he has studied composition with Peter Maxwell Davies and conducting with Harold Farberman and Gennadi Rozdesvensky. For additional information, see his entry in the New Groves Dictionary of Music and Musicians. 17:00 Cl. Hn. Pno. Vln. Vla. Vcl. for Chamber Orchestra 16:00 1(Picc.) 1 1 1 – 2 1 1 0; Perc. Pno. Str. 20:00 Solo A.Sax. ; 2(Picc.) 2(E.H.) 2(EbCl., B.Cl.) 2 – 4 2 2 1; Timp. 3Perc. Str. 10:00 2(Picc.) 2(E.H.) 2(B.Cl.) 2 – 4 2 2 1; Timp. 2Perc. Str. Fanfare for Chamber Orchestra 4:15 2 2 2 2 – 2 2 0 0; Timp. Str. 15:00 2(Picc.) 3(E.H.) 2(B.Cl.) 3 – 4 3 3(B.Tbn.) 1; Timp. 3Perc. Str. 17:00 3(Picc.) 3(E.H.) 3(EbCl./B.Cl.) 3(Cbsn.) – 4 3 2 1;Timp. 3Perc. Pno. Str. 5:30 3(2Picc.) 3(E.H.) 3(EbCl./B.Cl.) 3(Cbsn.) – 4 3 3(B.Tbn.) 1; Timp. 3Perc. Pno. Str. Chamber Opera for Mezzo-soprano and 7 Players 45:00 Fl.(dbl. Picc., A.Fl.) Cl.(dbl. EbCl., B.Cl.) A.Sax.(dbl. T.Sax.) Perc. Pno. Vln. Vcl. 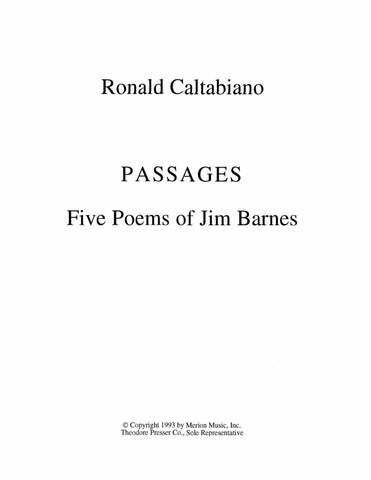 Five Poems of Jim Barnes for Tenor and 12 Players 18:00 Tenor Solo; Fl. Ob. E.h. Cl. Bsn. Perc. Hn. Vln. Vla. Vcl. Cb. Cantata No. 2, for Soprano and 7 Players 32:00 Sop. ; Fl./Picc./A.Fl. Cl. in A/EbCl./B.Cl. Tpt. Perc. Pno. Vln. Vcl. 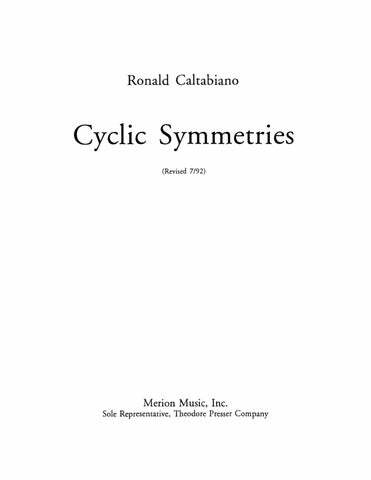 …Caltabiano builds an elaborate structure (a single movement) on a cantus firmus and uses a language of amenable expressionism. There is a great combustion of motives and frequent whiplash climaxes…but the clarity of discourse remains unruffled. …[displays] an ambitious mind, eager to dazzle and amuse. Piercing again and again through the busy orchestral fabric, the sax asserted, commented, and blended amiably. Easily understandable and a bravura chance for the soloist… the “Concerto” pleased the crowd and livened the atmosphere. 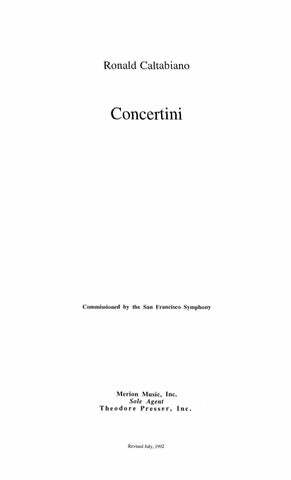 In the “Concerto” one may again perceive Caltabiano’s strong dramatic contrasts, his lucidity of motivic and structural process, his idiomatic instrumental sense…All this is brought to fruition in the coda: marked placido ed espressivo, it is a passage of sheer beauty, its tender, yearning sax line hovering above a hushed, modal string accompaniment. An effectively varied and attractively euphonious 20-minute piece which exploited the full range of the ensemble’s virtuosity in a sequence of concertante passages, neatly drawn together at the end. The kaleidoscopic colours of its central Decisivo movement and the dazzling scale-figures and massive chords of its Declamando finale revealed some of the harpsichord’s most unsuspected timbral landscapes. It is an exciting and beautiful composition — a moving work that is highly recommended. 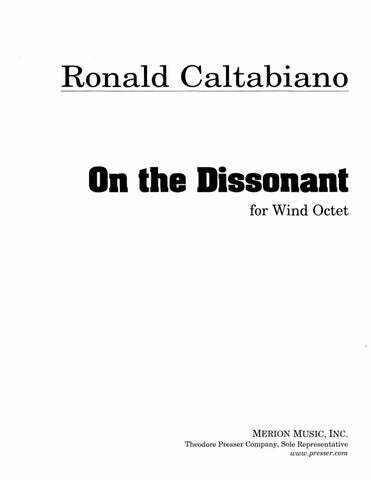 Two tightly argued and imaginatively conceived instrumental pieces went far…to explain the impressive list of honors and commissions Ronald Caltabiano has achieved … “Lyric Duo” for viola and harp, sets out to combine opposing musical elements– and that is a theme that runs through both the music and the dramaturgy of Mr. Caltabiano’s output to date. The one-movement work has firm shape and definition, alternating between insistent repeated-note material and lyrical wide-ranging melodies. The instruments are both fully exploited and dialogue textures are refreshingly inventive. A change from the fragmentary nature of much contemporary music is the “Lyric Duo” for viola and harp…The one-movement work has firm shape and direction, alternating between insistent repeated-note material and lyrical wide-ranging melodies. The instruments are both fully exploited and dialogue textures are refreshingly inventive. 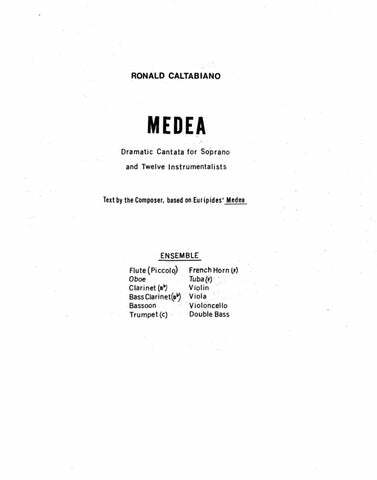 “Medea” for soprano and twelve instruments, demonstrates a number of features that have continued to characterize [Caltabiano’s] work. 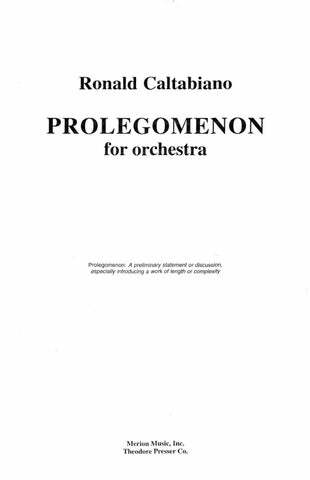 Prime among these is an almost uncanny ability to write confidently and idiomatically for his instrumental forces… Similarly apparent is the tightly-knit motive structure of these works, with recurring, recognizable phrases lending a comforting clarity and organic substance to the overall form. The music showed an enviable command of pacing, structure, and word setting… The vocal line…can climb or sink, rush or linger, break through the ensemble or meditate alone… He must be accounted a promising new voice. …He’s a protégé of Aaron Copland, and the music shows traces of that great composer’s influence [in] the wide intervals, the chorale-like flavors. Yet its structure and musical argument suggest a Samuel Barber essay for orchestra. 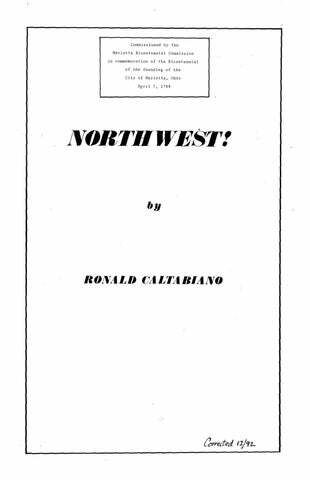 Caltabiano’s “Northwest!” is an attractive, vigorous work rooted in the populist tradition of Aaron Copland … It has an outdoorsy sound, with its expansive strings and pungent clashes of brass and percussion. …a riveting creation … deftly orchestrated, characterized by grandiose, arching brass lines, virtuoso percussion, lush string melodies and fluttering winds. The work is most active, possessing infectious imagery and energy, and the orchestral palette is used to the full… Caltabiano delivers his message in an instantly appealing way. It’s one 19-minute span that cross-cuts snarling cacophony, rhythmic athleticism, and a lyricism rare in contemporary music. In its color and rhythmic impetus, the work — which was beautifully played by the orchestra — demonstrated anew that the 35-year-old composer is one of this country’s best. From a simple set of notes … it builds to something grand and sad. What was most impressive was the young composer’s control of his materials, his ability to suggest nostalgia without becoming sentimental and his ability to write idiomatically. …a skillfully woven musical tapestry which belies the undoubted challenges which confront the 16 horn players… Although Caltabiano’s work is only five minutes in duration, it stands out as the highlight of the recording. …a serious work that challenges both performer and audience; it deserves frequent programming. …angry, slashing, dissonant chords which soon yield to a frenzied, sinuous chromaticism… The violence is replaced by haunting, ethereal, almost motionless lyricism built around sustained melodic lines and modal harmonies…This is not some kind of abstract intellectual game: the distinctive motivic content of the two ideas, and their widely contrasting emotional stance, allows the structural process to be clearly apparent to the listener. [It] works within the fiercer confines of modernist dissonance, but in a way that suggests an opening up of that idiom to more engaging kinds of communication. Caltabiano’s is a vigorous, attractive work, well worth the effort for both performer and audience. “Torched Liberty” emerged a strong work, one that should find itself in the repertory. 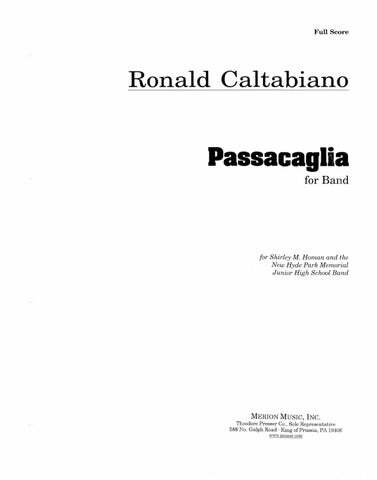 Caltabiano’s vocal writing is demanding but right for the voice.